Aqua Plumbing and Heating are Gas Safe registered heating engineers who supply and install gas boilers. For similar replacement boiler companies in this area please visit the Burton-On-Trent boiler page. Local family based business, covering Burton on Trent and surrounding areas. Offer a no call out fee and am happy to give free advise on all aspects of your heating needs. 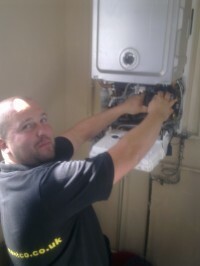 Specialise in Boilers, gas fires and cookers installation, service and repair. Boiler replaced from £895 inc supply and fit. Service of gas appliances from £45. Can also change radiators including curved and bay window types.